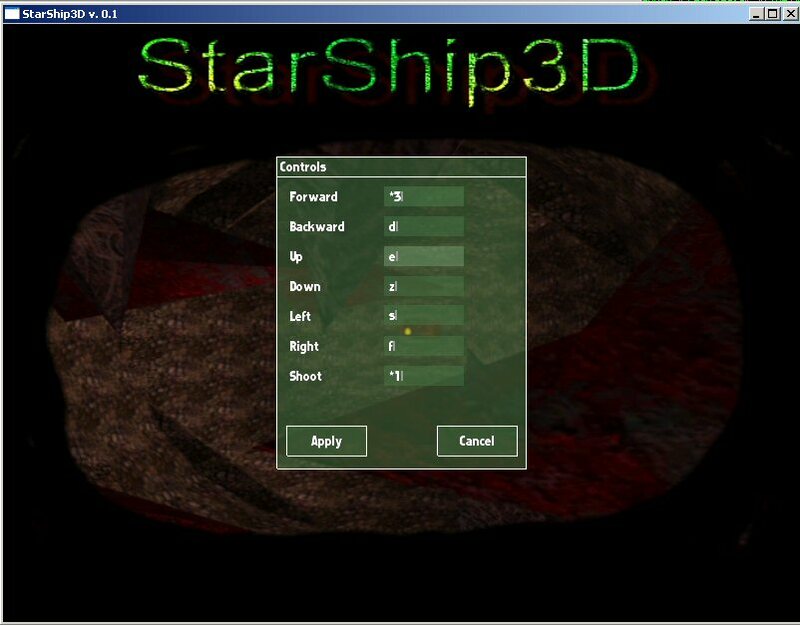 GUI Tester is a small app that demostrates how to use my GUI classes with OpenGL. 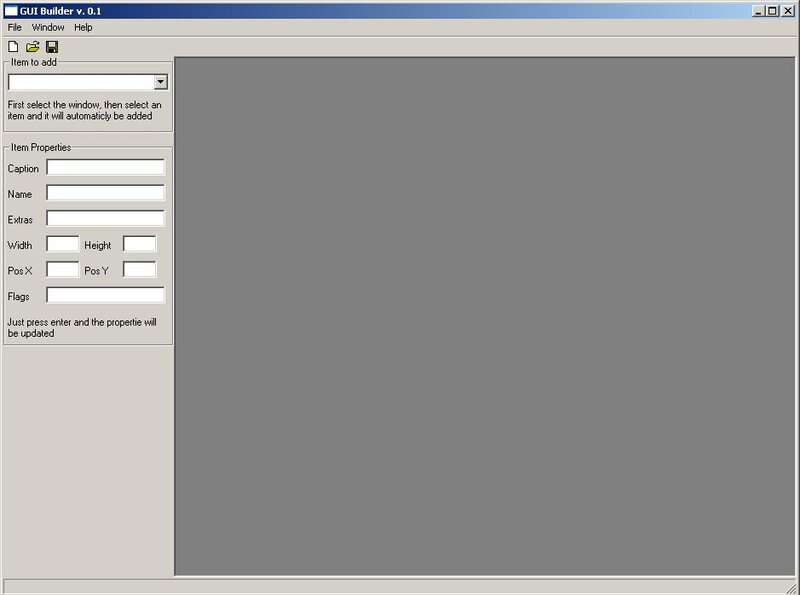 The GUI uses libsigc++ to communicate with your code. 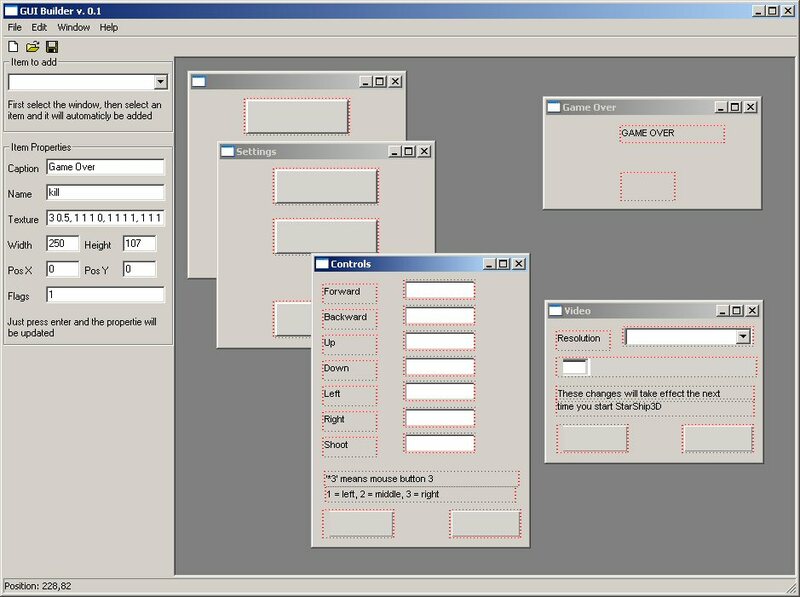 GUI Designer is a cross platform designer made by me and wardy. 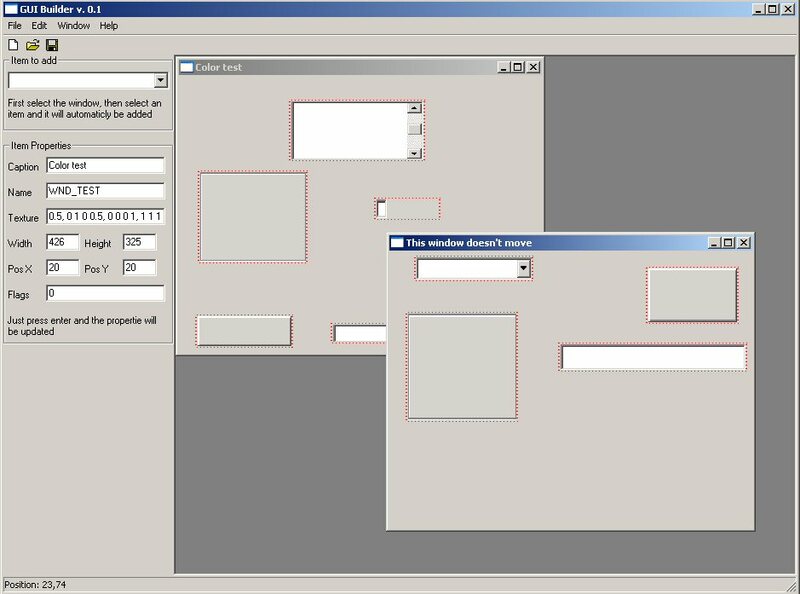 It uses wxWindows too make it as portable as possible. 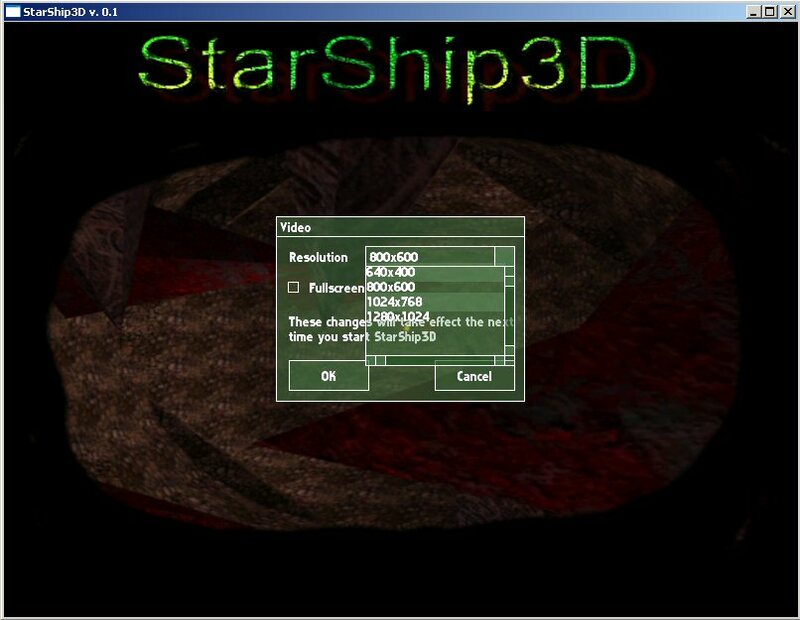 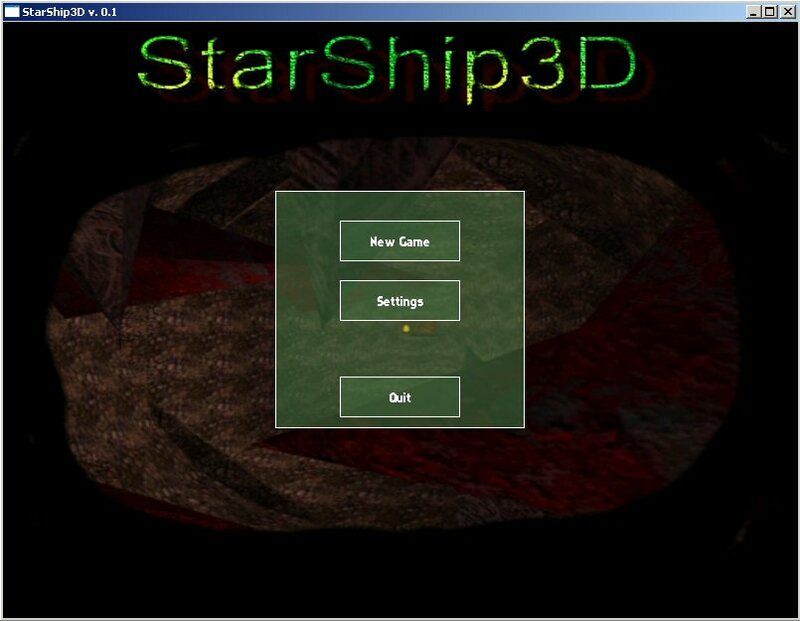 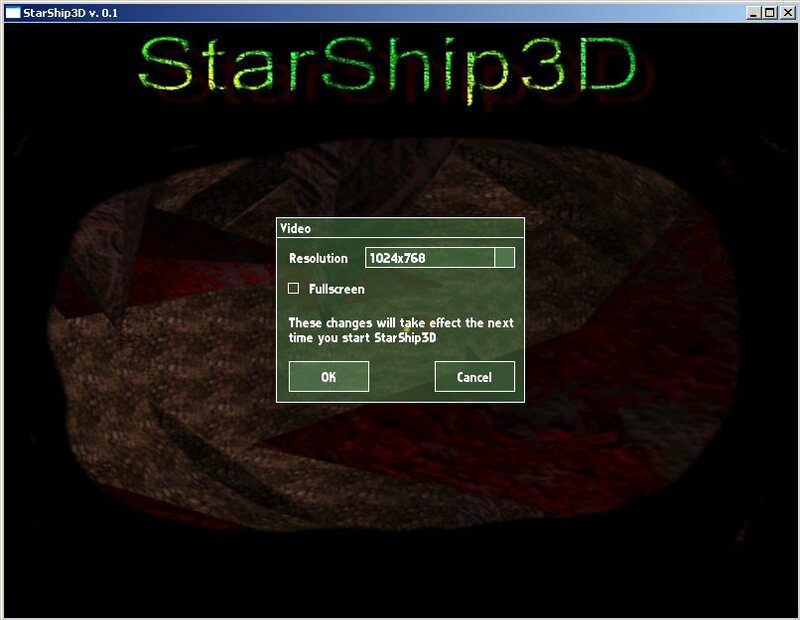 You can re-design the menues in StarShip3D with this application.